Being the first racquet sport in the world, Badminton is one of the most popular sports after Soccer. It’s very easy to learn how to play badminton! It is a sport played widely in Asian countries. It is also a major event in Olympic. This game needs the player to be agile, deft and precise on their techniques as well as they need to have strength and muscle power to go with quick reflexes to make it to the top. It is a fun and spontaneous game and one needs to pick this sport if looking at boosting overall fitness- physical, mental and social aspects. Like every other sport, badminton is also governed by an International body “Badminton World Federation”, it works in tandem with other regional bodies for the development of badminton as a sport. Today BadmintonMonthly bring you a list of the 10 most famous badminton players across the world. He is a professional badminton player from Malaysia. As a singles player, he ranked first worldwide during the period August 2008- June 2012. 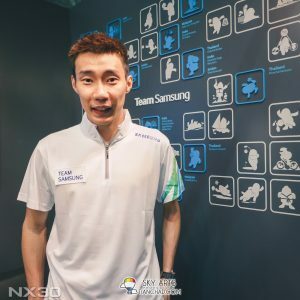 He holds the record of being the only Malaysian player to rank first worldwide for more than a year. When it comes to Olympic achievement, he bagged three silver medals and is the sixth player to win an Olympic medal from Malaysia. As a child, his favorite sport was Basketball however after his mom banned him from playing Basketball anymore he took to badminton. While growing up, he admired Sun Jun of China. Sun Jun was the former world Champion. He is considered to be one of the finest players Malaysia has ever produced in the last 10 years. His favorite racket is Yonex Duora10, one of top badminton rackets! Also known as “Junior Lin Dan / Little Dan”, he is a badminton player from China. Ranked no. 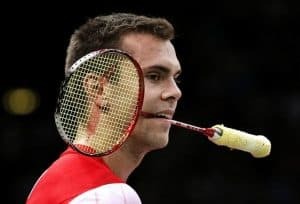 2 worldwide, this 25-year-old started his career with junior championships in 2007 BWF World Junior Championships. 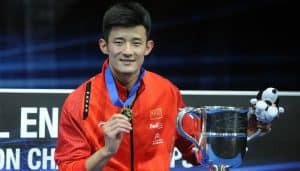 In 2016 Olympic game, he defeated Lee Chong for an Olympic gold medal clearly signaling himself as the new champion in Badminton Singles. He dominates world badminton with the power of his playing style and good badminton shoes. He is a two-time world and All England Champion. Chen has admitted that he has always followed the two great legends viz. Lee Chong Wei & Lin Dan ever since he started watching them in Beijing Olympics and always wanted to be like them. 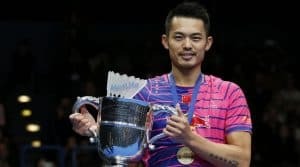 World number three player Lin Dan is from China. He is regarded as the greatest single player. He is 33 years old now however, he completed the Super Grand Slam by completing all major 9 titles in badminton world. He is a risk taker around the court because sometimes he tends to smash towards the sidelines which is very risky. It may/may not work in your favor. It’s nearly impossible to hit smashes when one is off balance, however, when he sees the opportunity he hits it hard even if he is off balance. While it may appear risky to us, Super Dan finds these highly risky shots easily manageable. 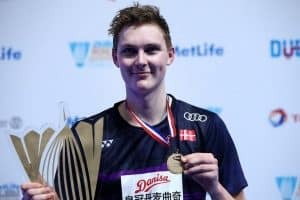 Viktor is a Axelsen 23-Year-old badminton player from Denmark. Another addition to the list of players from Denmark after Viktor is Jan O Jorgensen. He won the European championship in 2014. He also plays in Denmark Badminton League and represents SIF. Many would not know but Jan O Jorgensen has had a connection with cricket while he was a teenager. 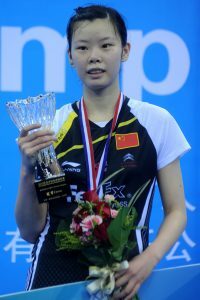 After winning the Women’s Single World Championship in 2014 and 2015 Carolina is the number one female badminton player as of now. 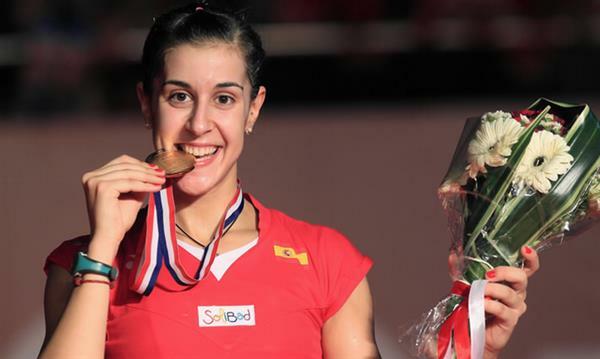 She is from Spain and is the first Spanish player to become the world No, 1 in the women’s singles. Recently she won a gold medal in Olympics by defeating PV Sindhu of India. She has a powerful smash and moves swifter than anyone else around the court. In world rankings, she is the only left-handed player. Marin’s mental strength and her fight back spirit amaze everyone time and again. She is a retired professional badminton player from China. She started her career when at only 9 years of age. She occupied the number one spot in 2009. She won accolades for her action packed performance in 2012 Olympics and 2011 World Championships, 2006 World Cup and Asian Championships in years 2011 and 2013. Wang has always credited her badminton journey to her mother. As of now, she is world number 3 women’s singles player. 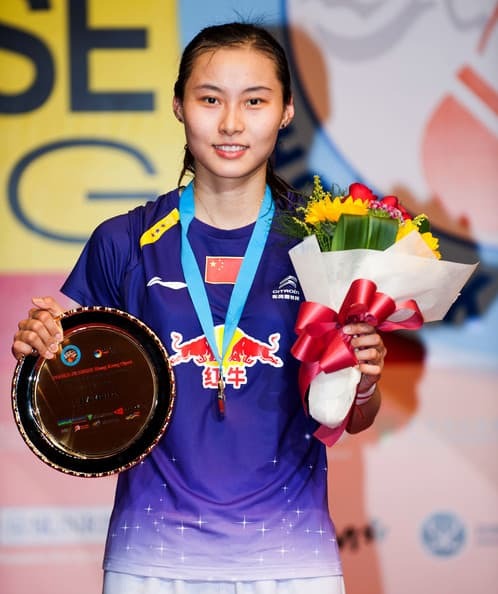 She is a professional badminton player from China with a brilliant track record of winning a Gold medal in London Olympics 2012 and runners-up in 2013 and 2014 World Championships. She has everything going on for her – excellent technique, strength mentally and physically and good coverage on the court. The 9th spot is occupied by this Thai Player, Ratchanok Intanon. Only 19 years of age, she became one of the youngest to win singles World Champion in 2013. Apart from that, she has also won Junior Championship for three years 2009, 2010, and 2011 in a row. 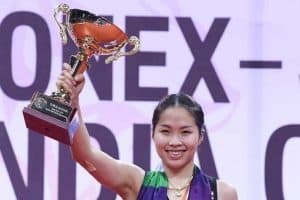 She is the first Thai player to become world no.1 in Women’s Singles. Beiong a badminton player from Taiwan, she won the title of Taiwanese Ranking Competition when she was only 16 years of age. Hence, she is the youngest no. 1 in Taiwanese Badminton History. She won five Super Series titles consecutively in 2016 and 2017, and is (as of April 16, 2017) on a 17-match winning streak, to be continued at the 2017 Indonesia Open. Her playing style is very spontaneous and unpredictable. Her disguise shots and fabulous technique makes her stand out from the rest.